As a forward-thinking and dynamic company with a growth strategy in place, Celcius Refrigeration understands the need to constantly evolve in order to ensure a bright future for our business and assist an extended customer base. 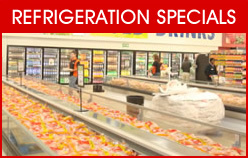 For this reason we have now dedicated increased resources to cater for the insurance element of refrigeration from a supermarket or retailer perspective. 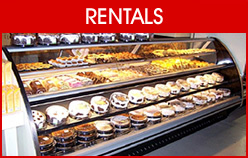 This is done by assisting insurance companies with issues involving damage to refrigeration cabinets or the system in general. 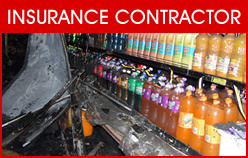 Celcius Refrigeration assists when stores suffer damage to their refrigeration through theft, fire or other causes, dealing directly through the insurance companies. 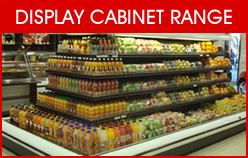 This service involves assessment, removal and replacement of refrigeration cabinets and systems, and Celcius is trusted to fulfil these to a high standard accepted by insurance companies. 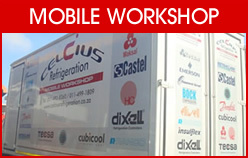 We also make use of our mobile installation workshop which is available 365 days a year, allowing for installations and maintenance onsite without the need to return to the factory, which is an additional service offering that our clients and the insurance companies they use are very fond of. 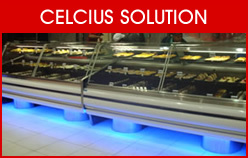 Celcius Refrigeration is recognised by major insurance companies in South Africa, and we have contracts with a number of insurers who appreciate our ability to deliver excellent service for their customers within the industry. We pride ourselves on our customer service, which is why we are trusted to deliver in this newer venture, with insurance companies rightly putting their trust in us.